Rick Fournier is the man behind 50 glorious kilometers of trail. If you’ve ever skate-skied, snowshoed, pedaled a fat bike, or just walked on the buttery-smooth winter trails of Round Valley or the Rail Trail, you have grooming guru Rick Fournier to thank. Part of his job as Mountain Trails Foundation’s field manager is to design, build, and groom 50 glorious kilometers of winter fun. I certainly hadn’t anticipated that this is what I would be doing as I’m pushing 50, but things just kind of fell into place. I absolutely love what I do. Fournier moved to Park City in 1997 and worked at The Canyons as a lift mechanic and supervisor. In the summer of 2005, the opportunity arose to work on a Mountain Trails crew, and, as they say, the rest is history. “Round Valley has morphed into something far bigger than any of us expected early on,” he says. “In 2006, we began grooming some of the doubletrack with a beat-up old snowmobile and a steel box drag. 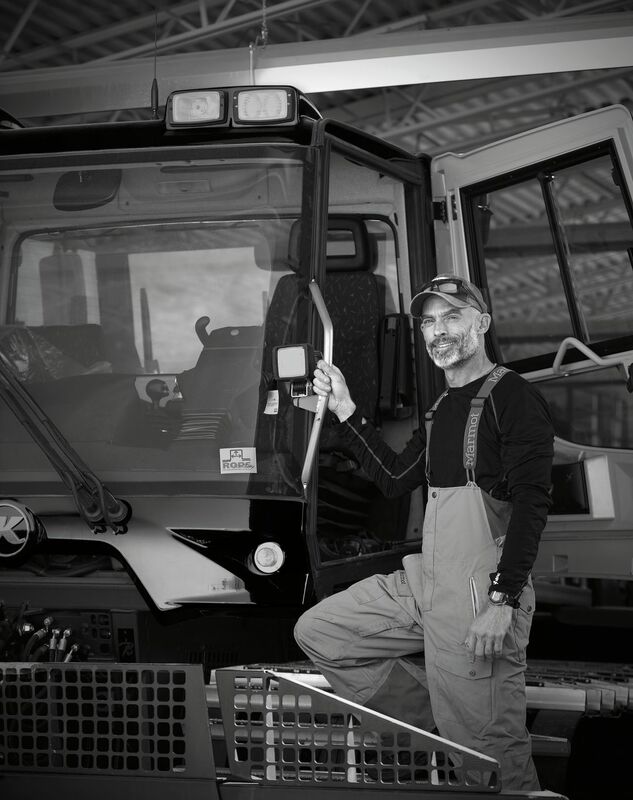 I spent a good deal of time those first few years removing rocks, cutting back scrub oak, and clearing new trails to create loops.” Then in 2009, Park City Municipal purchased a PistenBully groomer. After two hours of training, Fournier was sent on his way. He and other Mountain Trails staff members now groom trails seven days a week.